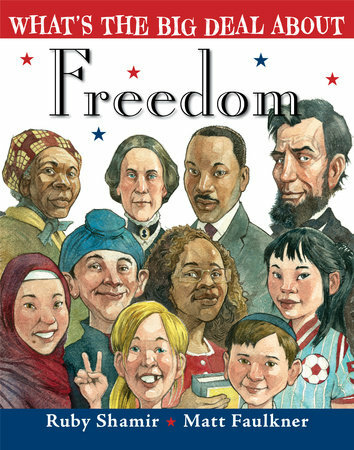 From the Constitution to civil rights, from women's rights to the four freedoms, this kid-friendly picture book filled with fun facts and historical trivia shows how America got the nickname "land of the free." It’s a “free country”! Why? Because in America we're free speak our minds, choose our leaders and set the rules. Since way back when Thomas Jefferson wrote the Declaration of Independence, Americans have stood up for freedom again and again – but it wasn’t always easy! Perfect for fans of The One and Only Declaration of Independence, John, Paul, George & Ben, and Shh! We're Writing the Constitution – and after this fraught election year, is a great way to talk about America, its values, and the rights we all enjoy.